I salute the people of the Northern Province for showing the door to the self-proclaimed “People’s Dynasty”; the only province in the country to do so, which is a glimmer of hope for re-establishment of democracy in the country. Although I am not a fan of the Tamil National Alliance (TNA), I wholeheartedly welcome its landslide win in the Northern Provincial Council (NPC) elections as a symbolic defeat of corruption, crime, cronyism, militarism, and nepotism of the Rajapaksa regime. True political leadership is to be magnanimous in victory, which is what the President of Sri Lanka sorely lacked in the aftermath of the total defeat of the LTTE in May 2009 but this author presently expects from the first-ever Chief Minister of the Northern Province. It is such magnanimity in historic victory that will elevate the moral ground of the Tamil minority community vis-à-vis its political aspirations. With the right to self-rule come responsibilities as well. Firstly, the NPC should forge reconciliation with the minority communities of the Northern Province, viz. Muslim and Sinhala communities, for the injustices meted-out to them during the course of the so-called ‘liberation struggle’. If the Tamil minority community is to demand parity of status at the national level, the Tamil majority community in the North should afford parity of status to the minority communities of the North and thereby lead by example. If the Tamil minority community is to demand reparations for the losses incurred during ethnic riots and civil war from the national government, the Tamil majority community in the NP should pay reparations to losses incurred by the minority communities (especially the Muslim community) in the North. 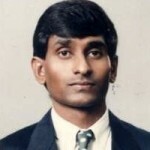 Constitution of a Northern Truth and Reconciliation Commission should be a priority for the newly elected NPC in order to investigate, for example, the massacre of civilians in Anuradhapura in 1985 and the massacre of civilians living in the border areas throughout the civil war, expulsion of the Muslim community en-masse from the NP in 1991 and confiscation of their movable and immovable assets and properties, and the killing of Tamil intellectuals beginning from the killing of St. John’s College Principal Mr. Anandarajah in 1985, Dr. Rajani Thiranagama (nee Rajasingam) of the University of Jaffna in 1989, Dr. Neelan Thiruchelvam in 1999, Mr. Ketheshwaran Loganathan in 2006, et al. The foregoing are few examples that could be expanded. If the Tamil community is to demand national or international investigations into the unnecessary loss of civilian lives during the last stages of the civil war, it is imperative for the Tamil community to investigate unnecessary killing of civilians from the regional minority communities and intellectuals from its own community during the time of the civil war by its newly elected NPC. An Equal Opportunities Act should be enacted in the Northern Province in order to inculcate merit-based governance of public administration, public and private decision making, and corporate governance in the province. The proposed Equal Opportunities Act should outlaw discrimination in terms of caste, disability, ethnicity, gender, regional origin, and religion. This exemplary legislation should be a role model worthy of emulation for other provincial governments and the national government in the country. The Tamil community has been demanding parity of status as regards the use of Tamil language in any part of the country which is legitimate. Now there is an opportunity for the NP to offer parity of status to its own minority community, viz. the Sinhala community, as regards the use of Sinhala language in the North. The NPC has to deliver (at the regional level) what it demands (at the national level) in order to take moral upper hand vis-à-vis the national socialist regime of Mahinda Rajapaksa. For example, the street name boards within the TNA-administered Point Pedro Urban Council area are in all three languages (English, Sinhala, and Tamil), which is welcome. However, the street name boards within the TNA-administered Valvettithurai Urban Council area are only in English and Tamil languages. Why is this difference in treatment of the regional minority language? TNA should pursue common policy in such matters so that all TNA-administered local authorities follow the same common policy. The TNA has been demanding the vacation of private houses, properties, and lands forcibly occupied by the Sri Lanka Army in Jaffna (since 1996 when the SLA wrested control of the peninsula from the LTTE) and mainland Vanni districts of the Northern Province (NP). Hypocritically, constituent political parties of the TNA (e.g. PLOTE and TELO) have been forcibly occupying private houses and lands in the districts of Mannar and Vavuniya for a long time (since the late-1980s) and continue to do so even to this day. The TNA should practice what it preaches; therefore as a moral example to the SLA all private houses and lands occupied by constituent political parties of the TNA should be vacated and handed back to the lawful owners (even if they live abroad now) with immediate effect. Not only the Rajapaksa government got its priorities wrong as regards development of the North (especially the Vanni), the Tamil community also has got its priorities wrong in terms of development. Throughout the North, including in the impoverished Vanni mainland, places of religious worship (especially Hindu temples) are lavishly rehabilitated, reconstructed, and/or redecorated at an exorbitant cost financially sponsored mainly by the Tamil Diaspora, whilst people of the Vanni are living in squalor in their huts made out of clay or tins without basic amenities such as toilets, clean and safe water, and electricity supply. I can understand and appreciate the divine solace sought by brutalised population in places of religious worship. Nevertheless, when fundamental human needs are unheeded and unmet, what is the moral and ethical imperative for extravagant expenditure on places of worship? What the people in the North, especially in the Vanni, urgently need are factories and places of production of goods and services that create employment opportunities for unemployed youths and wider masses. According to our estimation, 27.4% of the eligible working age population (15-59 years old) in the North is unemployed either voluntarily or involuntarily, which is the highest unemployment rate in the country (total number of unemployed persons in the province 123,209 – according to the Annual Labour Force Survey 2012 – divided by total number of eligible working-age persons in the province 450,000 – according to Census 2012 – and multiplied by one hundred). Furthermore, I would strongly argue the case for unlocking huge financial resources and physical assets amassed by various faith-based institutions in the North for the purpose of development finance in the NP. The Chief Minister being a devout Hindu and having rapport with faith-based institutions should persuade wealthy Hindu temples to contribute lavishly for the development thrust of the NPC. Historically, discrimination, dispossession, and exclusion of large number of northern people based on caste division of society have been debilitating the Tamil community. Therefore, first-ever census of caste in the NP needs to be undertaken in order to introduce affirmative policies to lift significant proportion of the Tamil population out of social marginalisation. If the Tamil community vies for political parity of status vis-à-vis other ethnic communities in the country, it should afford the same to its own social and economic minorities in the North. The caste division of Tamil society cannot be swept under the carpet like the Rajapaksa regime is trying to do to the ethnic minorities in the country. Women are the majority gender in the Northern Province. The Jaffna district has the highest share of females in its population among the twenty-five districts in the country. Therefore, northern women should be given due share of the economic, political, and social space in the province. Poverty and unemployment rates among women are many times greater than that of men. Besides, NP has the largest number of female-headed households and former female combatants who are ostracised for a number of reasons. Certain provisions of the traditional customary law governing the NP, viz. Thesawalamai law, are inimical to women’s equality in society. A need to reform the Thesawalamai law is long overdue. No person is better equipped to reform the traditional customary law than the newly elected Chief Minister, who is a former judge of the Supreme Court of Sri Lanka. The NPC should endeavour to attract human and financial capital from over half-million first and second generations Tamil Diaspora spanned across the world, particularly in Europe and North America. The ‘Diaspora Bonds’ are sovereign bonds issued by governments to its Diaspora in order to tap their assets in host countries. Diaspora Bonds is a long standing revenue raising mechanism for sovereign governments in many countries such as India, Israel, Philippines, and many Latin American countries that have huge Diaspora populations in affluent countries. The newly formed State of Israel floated its first Diaspora Bond in 1951, perhaps the first of its kind. Although the Sri Lanka Development Bond (SLDB) floated by the Central Bank of Sri Lanka during the past six years are primarily (though not exclusively) targeted at the Sri Lankan Diaspora it has not exploited the potential to any significant extent for a variety of reasons. One of the limitations of the SLDB is that it is one of many revenue raising mechanisms for the government that is not specifically tied to a project or a region within Sri Lanka. The NPC, with the concurrence of the External Resources Department (ERD) of the Ministry of Finance, should float innovative Diaspora Bonds in order to mobilise investment resources for specific projects or development of specific geographical area with which particular Diaspora group/s have emotional bond. For example, development of an airport, harbour, highway, or manufacturing industry could be financed through such Diaspora Bonds targeted at particular Diaspora populations who would potentially have an emotional tie to a particular project or a geographical area. The Chief Minster could potentially set-up a special fund to attract direct contributions, either by way of donations or loans, by the Tamil Diaspora for the development of the Northern Province equally and efficiently. Rigorous monitoring mechanism should be established to prevent leakages and ensure efficient utilization of such funds. It is time to look forward by learning from the past and envisioning for the future. The key to the future is introspection and self-criticism, which is the imperative for this contribution. The Northern Provincial Government should show the genuine path of reconciliation, and of course development, to our national government, which is the fervent hope and wish of this author.